Interested in sponsoring our 1st Annual Charity Event. Contact us today at HF@thehatfund.org or you can leave your message in the comment box. Let’s not young talents get wasted. At home in Peru, he rises before school to practice tennis or work out. After school Marcos plays tennis for two hours followed by an hour of fitness training. Then it’s dinner, homework, sleep and the whole process starts over again. His schedule is very demanding, but Marcos will tell you that he wouldn’t have it any other way. 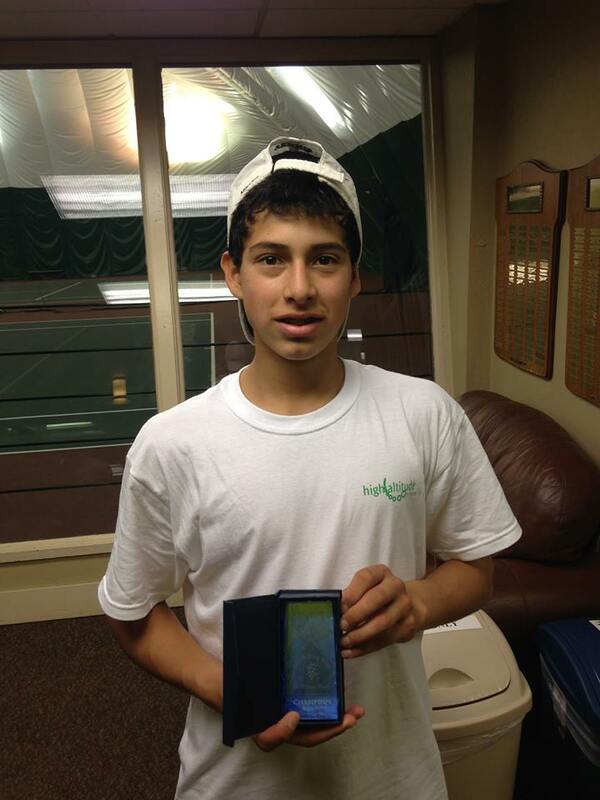 Having the desire to excel at tennis and realizing that expert training in a safe environment was not possible for him, Marcos reached out to High Altitude Tennis Academy Director, Ryan Segelke. His first visit in 2013 was for a brief two weeks. “It was such an awesome, life-changing experience”, remembers Marcos. HAT was then able to obtain funding enabling Marcos to return to the U.S. over his school break in 2014.